In a study done by researchers at Cedars-Sinai Medical Center in Los Angeles, the results show that one night of sleep deprivation equals the harmful effects of being on a six-month-long high-fat diet. Sure, you can't out train a bad diet, and you can't get fit without adequate and proper exercise, but even if you're on point with both of those, if you don't get enough sleep, your overall health is suffering. 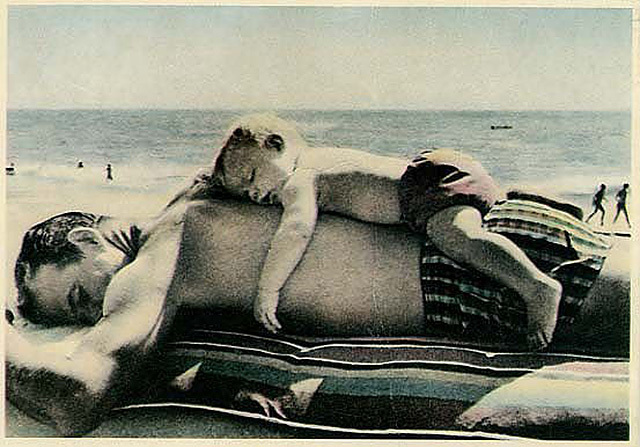 Featured image: A vintage postcard that reads "Sonno Profondo" (Deep Sleep) from 1953, depicting a father and his son on the beach. Via Pinterest.